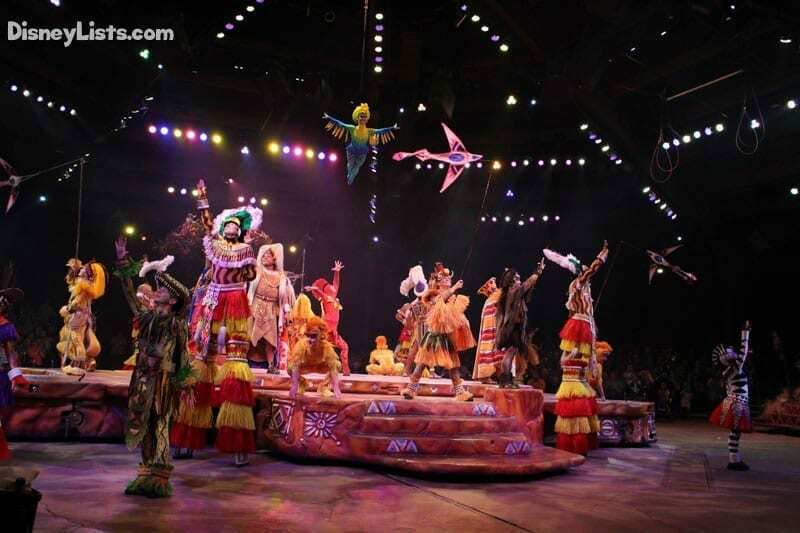 This seriously is one of the best shows across all of Walt Disney World! The music is amazing, the characters are fun and it is an extremely lively and exciting performance. I don’t think a FastPass is completely necessary unless there is a certain time block that you are looking for and you care about getting to be seated first, but it is still a great option, especially if the other recommended attractions that I will be discussing do not have any FastPass availability that works for you. Either way, just make sure that you see this show! I will caveat this one by saying that if you care about your group staying together, or if you have children that need you with them in order to ride, then you should definitely FastPass this one. The lines can get quite long. This is one of Disney’s most expensive attractions that they have every created, and is the most expensive roller coaster ever built in the world! 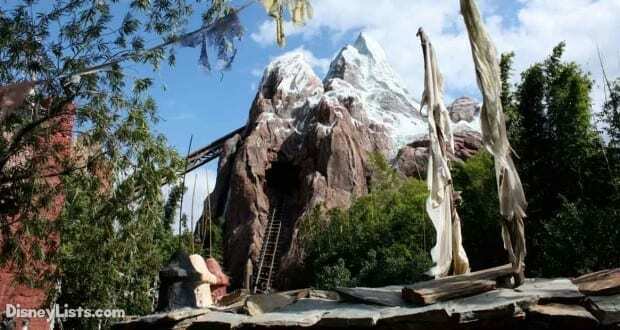 It is easy to see why once you experience Expedition Everest for yourself. If you don’t mind riding solo, you can make use of the Single Rider line, which usually doesn’t have much of a wait and could allow you to use your FastPass on another selection! Beware the Yeti! 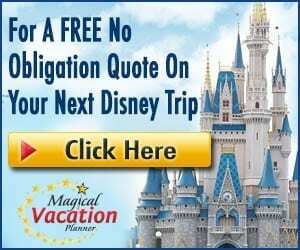 If you are traveling during the hotter months and want to experience this attraction, then this is absolutely an attraction that you need to FastPass. Since you do get wet (we aren’t kidding) on this attraction, many folks like to enjoy this one to keep cool while they enjoy the park. 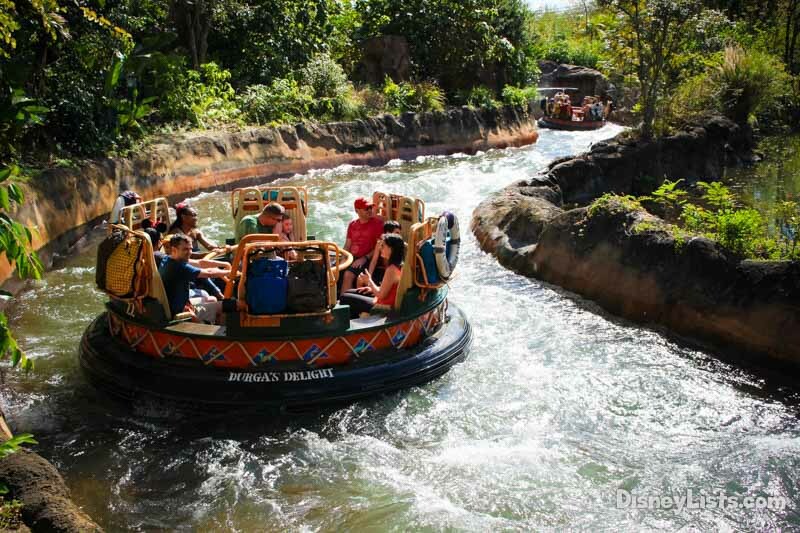 Plus, who doesn’t love a thrilling raft ride? If it is a hot day, the lines get extremely long and you will wish you had the FastPass, so go ahead and snag this one! If you are traveling during “winter” months, you may be just fine without one! This is definitely a MUST FastPass attraction. 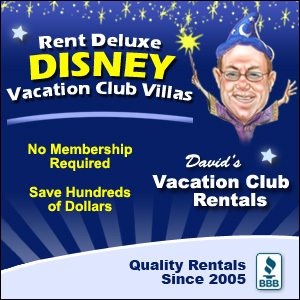 This one is fun for the whole family, and one of the most unique and amazing attractions across all of Walt Disney World. You board your safari vehicle and actually go on a real safari through the savanna where you get up close views of so many different species native to the African savanna. Not only should you FastPass this one, but you should also keep in mind the times that you get, if you have flexibility. The animals are usually the most active early in the day and later in the day. If you go during the hottest parts of the day, they are usually trying to sleep in the shade, so I would stay away from that time if at all possible. Just be sure that you get one for this, as the lines get long and the ride is absolutely amazing! Opening in February 2017, Rivers of Light is a breathtaking nighttime spectacular and is a hot FastPass selection. This nighttime show features technology such as lasers, floating set features, water fountains, mist screens, fog, lights, fire effects and more all in an amphitheater setting. The outdoor theater is situated in Discovery River lagoon nestled between Discovery Island and Expedition Everest. In a few simple words – Rivers of Light is the newest outdoor show which tops off Disney World’s already paramount entertainment options. If you want a guaranteed seat for this spectacular show, you’ll want to get a FastPass for this! Pandora – The World of Avatar is finally open and there are two attractions in the new land that offer FastPass options. The two attractions within Pandora are Avatar Flight of Passage and the Na’vi River Journey. Disney has instituted a tiered selection process for Animal Kingdom with the addition of these two attractions. You will only be able to select one of these options on any particular day. So, if you want FastPasses for both, you will need to visit Animal Kingdom on two separate days during your visit. Both attractions are hugely popular with very long wait times. The Na’vi River Journey has been seeing wait times for 60-90 minutes. Flight of Passage usually has wait times of 90-120 minutes. Those waits alone are worth trying to secure a FastPass! The technology and imagineering that went into these attractions have proven to be amazing experiences that will keep people coming back again and again. For more on what to expect be sure to read our article about Pandora – The World of Avatar.